SFW celebrate its 17th edition! 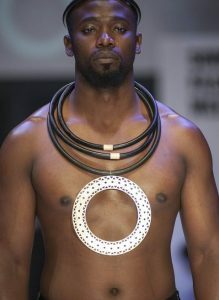 The Soweto Fashion Week has grown by lips and bounds. This year the sought after gathering of fashionistas enters its 17th edition and takes place from Soweto Theatre, Jabulani from November 24 Thursday to Saturday 26 2016. According to the organisers, over 500 designers will be talk of town, as models strut their stuff on the ramp, accompanied by ululations from revelers and eye ful watch from critics alike. Founded by Stephen Manzini to promote talented African designers on a global scale, the SFW’s aim is to introduce a change in the face of modeling and fashion week runways in South Africa and to grow the South African fashion industry. This is an opportunity for emerging and established designers to offer a wide variety of designs showcasing their Autumn/Winter Collections. “A fashion experience aiming to empower, uplift and give a platform to upcoming fashion designers, where fashion meets theatre…” once commented one of celebrated fashion designer. On Wednesday 23, a Pre-Fashion Week event will take place for invited guests only. Tickets available at Web Tickets outlets.